For Indigo's color challenge I'm sharing another photo from Upper Antelope Canyon. 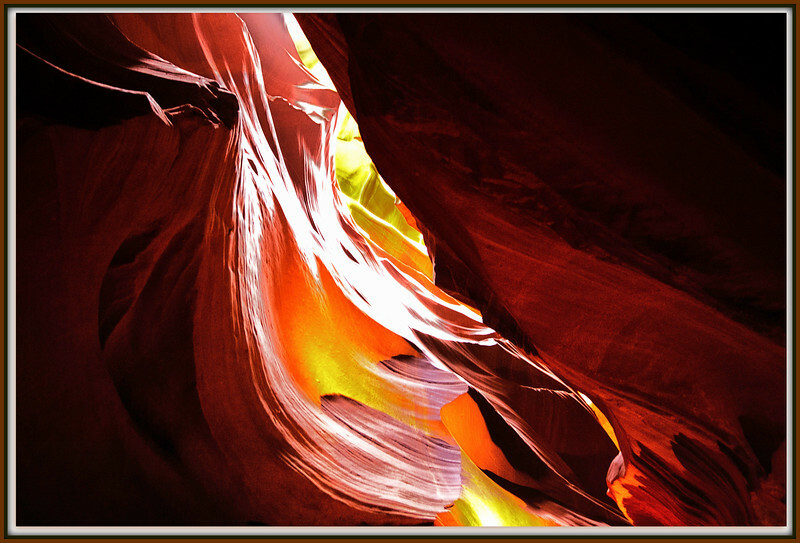 While it is not a single color, it is a family of colors and they are all found in this amazing canyon. It's hard to describe how lovely the canyon is, and how awe-inspiring it is when you are there. We will certainly go back again someday, hopefully in the early spring when the light is said to be even better. Fantastic capture, very nice and stuning colors! Fantastic capture, great colors, light, and textures! Love the tones and textures, super shot.